In conjunction with our recent appearance in The Pencil Collector, the official newsleter of the American Pencil Collectors Society, we are pleased to announce a new prize drawing. From now until August 31, everyone who submits a shop via our form will be automatically entered into a drawing for the prize pack shown below. As a special bonus for our APCS friends, include your APCS member number with your submission and you will be entered into the drawing twice! 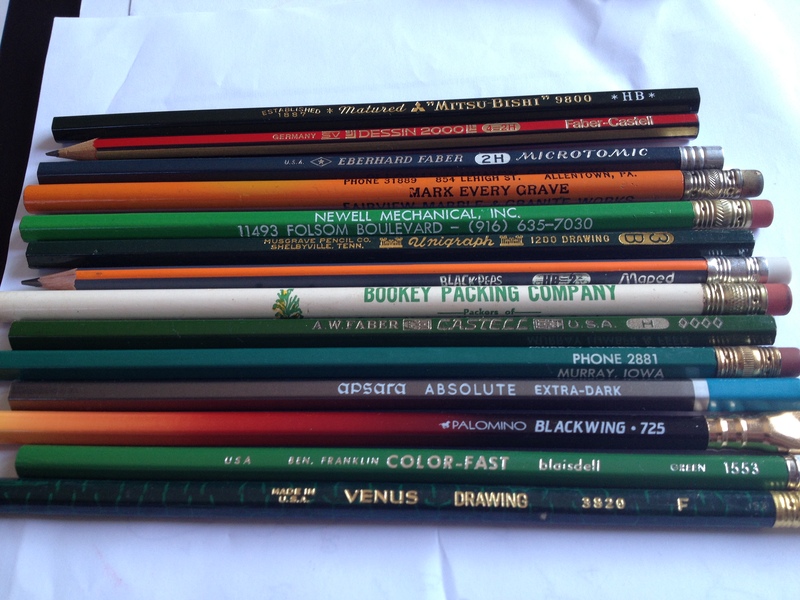 The prize pack features both modern and vintage pencils, including some old advertising pencils that should appeal to APCS members. US entries only, please. International postage is too much for our meager budget to bear.